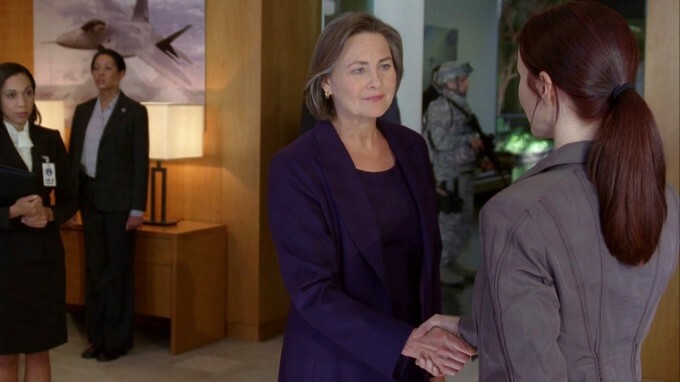 President Allison Taylor: I didn’t expect to see you again, Ms. Walker, but in these last few hours, I have learned how few people I can really trust. I am glad you’re here. Renee Walker: Thank you, Madam President. But I think I’d be of more use at CTU. President Allison Taylor: Of course. Susan will arrange a car for you. Renee Walker: Thank you, ma’am. President Allison Taylor: *shakes Renee Walker’s hand* Thank you.